You know how some people say their guilty pleasure is Katy Perry? Well, here at Side of Groove ours is Clean Bandit. Except, we are SO not guilty about it!! We were first introduced to the quartet (i-D has a great piece on their story here) nearly one year ago, before ‘Rather Be’ and ‘Extraordinary’ when they released their single ‘Dust Clears.’ We loved Russ Chimes‘ interpretation of the original, but also knew that these four would be making moves. Of course, we never could have predicted just how successful their next two singles ‘Rather Be’ and ‘Extraordinary’ would soon be. 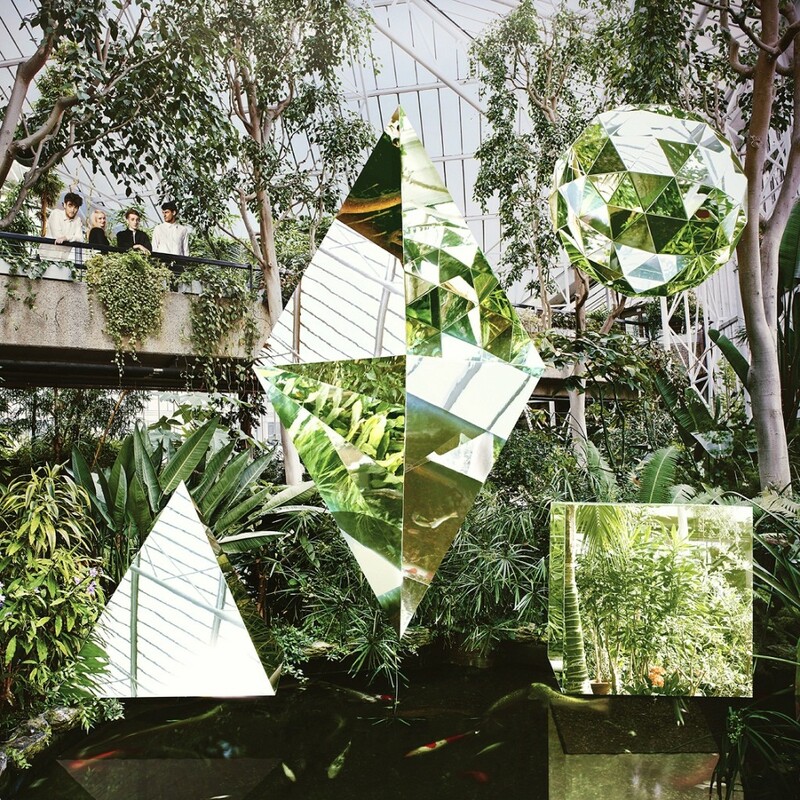 We had a chance to preview their debut album ‘New Eyes’ and wanted to share the wonderfulness that is Clean Bandit with the rest of the world. The album opens with ‘Mozart’s House’ featuring the funky vocals of Love Ssega. This was the second single and has been floating around for some time now. Tracks 2,3,4 and 5 are ‘Extraordinary,’ ‘Dust Clears,’ ‘Rather Be,’ and ‘A+E,’ rounding out the five singles that have be released prior to the full album. No need for us to rave further about these, but we will say that they flow surprisingly well together given their diverse sounds and styles. Tracks 6 through 13 are new material, and we focused our listen here. Among these, we want to highlight ‘Cologne,’ ‘Up Again,’ ‘New Eyes,’ and ‘Outro – Movement III.’ ‘Cologne’ is one of the danciest from the album, and the vocals blend wonderfully with the classic percussion and moody strings. ‘Up Again’ is a much slower piece and showcases the group’s ability to work seamlessly with talented vocalists. The percussion is incredibly simple and complimented perfectly by cool synths, making this our favorite new track. ‘New Eyes’ also features vocals (Lizzo) and is a super interesting modern crossover piece of a fast female rapper (think Missy Elliot) with electronic backing and hints of trap influences. Closing our review and the album, ‘Outro – Movement III’ is the most experimental piece and a curious reference to retro 80s and 90s video game sounds, ending with classical strings. It’s a fun little track and while we don’t expect to hear it played out ever, we think it summarizes just how diverse Clean Bandit is. Check out the full track list below, and listen to an exclusive stream of the album over at The Guardian. 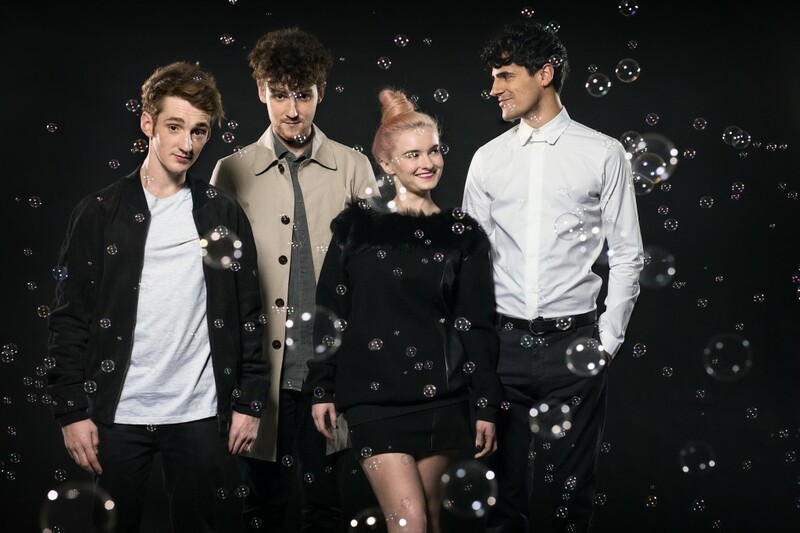 Be sure to catch Clean Bandit on tour this fall! Out NOW on Atlantic Records. Paul Rose, professionally known as Scuba, made a name for himself as a pioneer of dubstep. In 2007, he made a genre shift and began producing more underground music. His 2012 ‘Personality’ has been followed by single releases like ‘Hardbody’ and his remix of Paul Woolford ‘Untitled.’ Meanwhile Scuba has also championed releases as label head of Hotflush Recordings. Late last month Scuba announced that he would be launching a trio of EPs, and the first one ‘Phenix 1’ is finally out. Scuba characterizes the EP as having “a strong dance floor element to it all, but with a much greater emphasis on mood and atmospherics.” The short piece ‘Throb’ starts the EP off with a fitting atmospheric intro defined by 909 claps, eastern sounding strings, and a brief yet powerful warning alarm. ‘Cyanide’ is next, a 6 minute techno journey with big synth stabs approaching the industrial but not quite there. ‘Time Relentless Time’ provides a further turn, as its downtempo breakbeat and sad vocals threw us for a loop after liking ‘Cyanide.’ ‘Curious Paradox’ is last, featuring staccato conga-like claps, deep kicks, and other sounds that simulate a foggy jungle like environment. The bit around the 4 minute mark was particularly compelling, but we felt that the track didn’t quite make it after that point. Overall, we think of this as more an experimental collection of four unrelated tracks rather than a proper EP. However, it’s clear ‘Phenix 1’ represents a strong departure from Scuba’s past releases, and we’re curious to see how its received, given his somewhat controversial past. Out now on Hotflush. Previews are not available for every track, so as a replacement check out this Phenix 1 minimix provided by Scuba himself. Today’s Sunday Slowdown features a bit of an old one from Anjuna favorite Andrew Bayer. “An Ending” is a short piece, but it is amazingly powerful. The eerie vocals blend nicely with the simple loop. While this track perhaps can just be classified as an unfinished idea, it continues to show that Andrew is an incredibly talented and versatile producer. Dutch progressive house masetro Sander Kleinenberg returns to tease us all with new material. Currently on his 5K USA tour, it’s refreshing to hear some new material. “Eleonore” opens with a great sweeping feel. After the first minute and a half, the melodic synth play takes over and reminds why Kleinenberg is so good at what he does. You’ll be on your feet dancing in now time. “Eleonore” progresses with a dynamic and interesting sound that’s capped with good feels. It’s refreshing to see a different type of dance music coming from the Netherlands these days. You definitely won’t be hearing this one in a standard festival set anytime soon. Today’s Sunday Slowdown is a track that makes you appreciate the wonders of pure electronic sounds. Phonat, with past releases on Skrillex’s OWSLA label, remixes Andrew Bayer’s single “Need Your Love” off his second artist album “If It Were You, We’d Never Leave.” While the original mix highlights Bayer’s production chops with stunning strings and a clear voca, Phonat’s remix further glitches the song with his usual unorthodox synths and stylish modulation. A different and funky track not like any other. Out now on Anjunabeats. Get it here! As the summer festival season comes to a close, Goldroom unearths a fresh batch of tracks to help us forget that cold months are ahead. LA-based Goldroom’s second EP, “Embrace,” is a stunning combination of tunes that builds upon his past successes with breakout single “Fifteen.” The EP includes six tracks, two of them new – “Embrace,” and “Adalita.” Previous favorites “Only You Can Show Me,” “Fifteen,” “Sweetness Alive,” and “Pacific” are also included. The title track “Embrace” demonstrates the blissful vocals of little known Ariela Jacobs and Goldroom’s incredible selection of upbeat and fun synths. The second new track, “Adalita” features the vocals of Chela (responsible for the vocals on “Fifteen”) with dynamic strings and summery keys. If Goldroom’s sound is indicative of the continuing reliance upon electronic production in the indie world, then we are in for some good times ahead. And, perhaps, a mild start to the dark days of 2014! Out now on Itunes. Get it here!